1. The theory of stone hitting ensures low energy consumption and high crushing efficiency. 2. 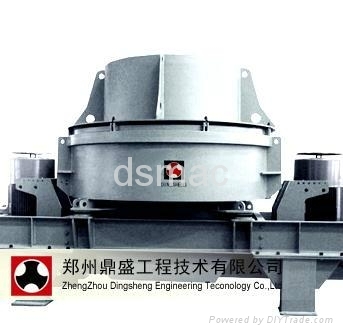 The process of crushing is intense with high crushing efficiency. 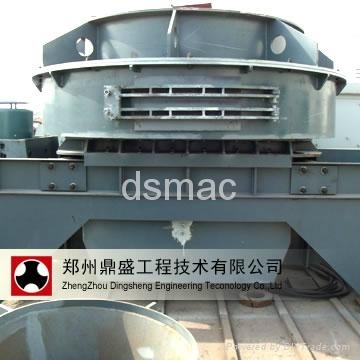 Presently, this type of sand maker is the most popular in the market. 3. The consumption of quick-wear parts is low. The sand maker is designed with the best crushing angle within the cavity and causes little friction with wear-resistant parts. 4. The sand maker requires 30% less operating cost than traditional equipment. It helps clients reduce equipment use-cost. 5. The cubic-shaped product is rationally graded with adjustable fineness modulus. 6. The sand maker is lubricated with grease specially used by Mobil. 7. 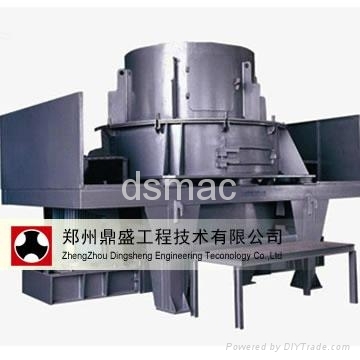 Non-crushing materials can easily pass the crushing cavity. 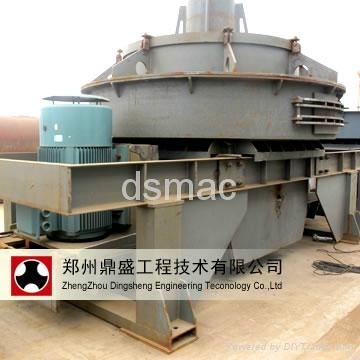 The influence of feedstock humidity is reduced to a favorable extent. The moisture content can be up to 5%. 8. The sand maker is so environmentally-friendly that it causes little noise and pollution when operating. The operating sound is below 75 db and no dust is created. 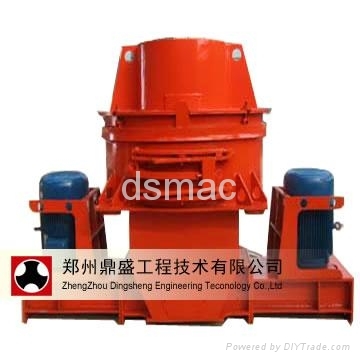 The sand maker has been widely used for material crushing in the industries of building stones, metallurgy, chemical engineering, mining, fire resistant materials, ceramics, cement, grinding materials, etc.